2013 marks the debut of Tilburg stoner-outfit Wangunst. From the deep south of the Netherlands, this power trio kicks you in the face with balls-to-the-wall riffage somewhere between stoner and sludge. Debut-EP 'Kempisch Ongemak' (Kempisch Discomfort) contains three originals in the vein of EYEHATEGOD, MYSTIC KREWE OF CLEARLIGHT, DOWN, KYUSS, WO FAT, SNAIL and many others. Their rendition of the Dirty Dozen Brass Band's classic Blackbird Special homages both the rhythm 'n blues and stoner tradition of New Orleans. "The Bio pretty sums up the band's overall sound, but the fact that they chose to cover "Blackbird Special" by The Dirty Dozen Brass Band is a remarkable feat, minus the horn section of course and adding their own funky flair. Hailing nowhere near the glorious city of New Orleans (the band is from Tilburg, The Netherlands) this instrumental three-piece known as Wangunst move the Earth with loose and Sludgy riffing, devastating groove and a choice amount of fuzz that reaches into your soul. 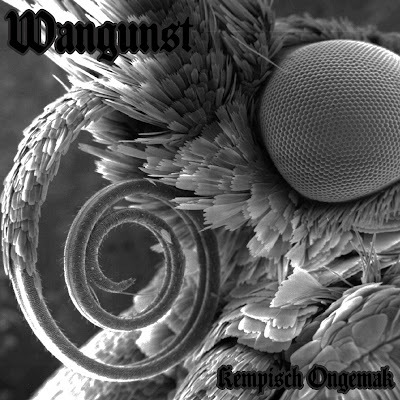 Wangunst is one of those bands that I could probably listen to all day, but unfortunately there are only these four songs from their latest EP "Kempisch Ongemak" to savor in the meantime. Great stuff!!"